A pair of Camper shoes in size 10/44. In a grey suede leather with blue leather trim. Usual quality and in very good used condition. Good – Obviously worn but still no stains, missing buttons. Very wearable. Chunky, funky trainers from CAMPER. Rubber CAMPER badges on the tongue, heel and sole. Navy blue suede uppers. CAMPER Mens Black Leather Shoes Size UK 7 EU 41. Condition is Used. Dispatched with Royal Mail 2nd Class. 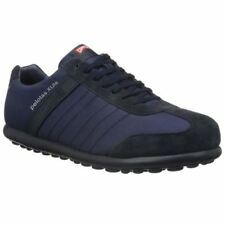 Men's Camper Classic Black with blue laces Size 8 Size 42 Mens Leather Used. Condition is Used. They are well loved but still got good life left in them. Dispatched with Royal Mail 2nd Class. Mens shoes. Black CAMPER Moroccan leather ankle boots Size 8 EU 42 lace up.Excellent condition. Stunning pair of black and tan Camper shoes. 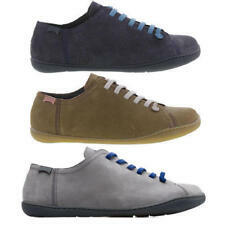 EXCELLENT AS NEW PAIR OF CAMPER TRAINERS, SUEDE LEATHER & TEXTILE UPPER. SLIGHTLY PADDED TONGUE FOR COMFORT, REMOVEABLE ANATOMICAL FOOTBED INSOLE. These classic Pelotas have only minor wear on the heels and very superficial scuffing on the uppers. (We're sticking with UK 5.5/ EU 39 in future). Very nice shoes for the Camper lover. New CAMPER Suede combined Black / Brown Shoes. Lace - up. Super Comfi Laced. Size UK 7/ 41. 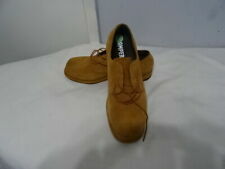 Camper Mens Designer Shoes Size 8. Genuine soft leather grey multicolour. A lovely pair of black leather Camper casual shoes. A size EU41 UK7. Size - uk 10, eu 44. Colour - Black / Grey / White. CAMPER fabulous Multi rare sneakers/shoes. UK SIZE 7"EUR 41. They have been worn for work and have a few scuff marks. Have been worn but still in good condition. From a smoke and pet free home. Please see the pictures for details of the condition. Camper black & orange with beige leather shoe. these have a mod/creeper styling to them. in a good used condition. a few light marks from wear see photos of top of toes. Size - uk 7, eu 41. SIZE UK 8 EU 42. ANY SHOE TREE USED IN THE PICTURE IS NOT INCLUDED IN THE SALE. UP FOR SALE. The Pictures are of the actual item for sale. GRAB A BARGAIN! 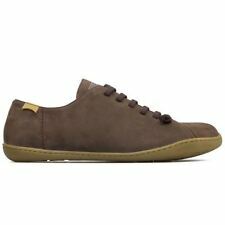 Great pair of Camper Alicante Men’s Brown Leather Lightweight Lace-Up Shoes Size UK 8 EU 42 (standard width). 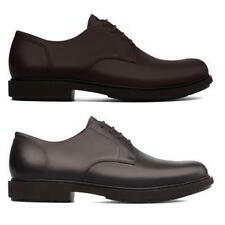 Please note shoe dimension as these shoes are sized on the smaller side: overall length of outer sole 29cm. The shoes are in very good condition as they have only been worn a couple of times. From a tobacco-free environment (see photos for condition). I am selling various men’s, women's and kids’ clothes, shoes and bags, and will combine postage where applicable. Can be collected in London by arrangement from Dalston E8 or King's Cross N1. WORN AND IN GREAT CONDITION. These beautiful orange leather Camper shoes are completely brand new and unworn in their original box. Free tracked / registered postage worldwide.